Soundproof Tents: Do They Exist And Are They Any Good? >> Soundproof Tents: Do They Exist And Are They Any Good? How Good Is The Crua At Soundproofing? If you’ve ever been to a weekend music festival you may well have wished you owned a soundproof tent when the time came to sleep because getting a decent big of shut eye in a normal tent is little more than a highly improbable fantasy at any festival. Pounding music and noisy festival goers make trying to get a few hours shut-eye extremely hard work, not helped by the fact that your only buffer against the sound is the thin mediocre fabric wall of a tent. Tents are often made from two thin sheets of fabric which is all that protects you from the elements and exterior noise. Tents also require air vents otherwise they are going to become hot, stinky and devoid of oxygen very fast. The problem with air vents is that they let in airborne sound meaning that tents are very difficult to truly soundproof. However there are things that can be done to reduce sound coming into your tent and there is one tent, in particular, that does a great job of muffling external sound. This tent is known as the Crua Outdoors thermal tent (formally the Thermo Tent). The Crua Outdoors thermal tent was designed by Derek O’Sullivan. Derek grew up in Ireland where he spent a lot of time camping and experienced first hand how thin tents are no protection from the freezing night time temperatures or the scorching summer heat. After one particularly cold camping experience with his family Derek decided he has enough and he set about designing a new type of tent. The result was a successful Kickstarter campaign which led to the creation of the Thermo Tent which has since been renamed as the Crua Outdoor tent. The key difference between the Crua Outdoor Thermal Tent and your standard tent is the thick microfibre insulation which the inner tent is made from, sandwiched between two layers of breathable polycotton. The beauty of insulating a tent is that your tent can then regulate its temperature much better as well as muffle external sound. The insulation also helps make your tent nice and dark for a great night’s sleep. When it is hot outside the insulation will keep your tent nice and cool. When it is freezing outside the insulation will trap heat inside the tent. When it is noisy outside the insulation will significantly dampen the noise. When you want to have a sleep in the middle of the day (maybe during a festival) the insulation means that the tent will be nice and dark. They come in sizes from one man to six person cavern featuring porches, windows and nice warm insulated carpet which helps to further insulate the tent – interestingly about 20% of heat lost from tents is lost through the floor so it is suprising that insulated carpets aren’t commonplace! It is both flame retardant and mildew resistant, two things which are very important (but often overlooked) when you will be spending times around camp fires and camping in damp conditions. It has illuminous guide ropes which help minimise your chances of tripping over them (knowing me I’d still manage to though!). 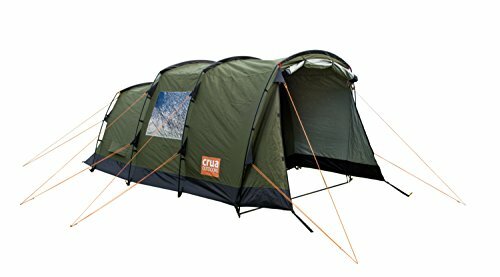 It has a ventilation system which prevents condensation forming on the inside of your tent, this can become a big problem in some tents but you don’t have to worry about it with the Crua. 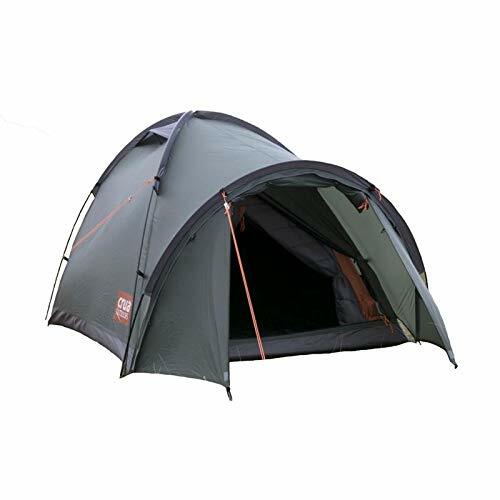 It has military grade reinforced steel tent poles which aren’t going to be easily bent by bad weather – or even a clumsy camper! The Crua insulation has an R value of 9 which, simply put, means it is great at insulating things and can therefore completely transform any camping experience. Reviews of the Crua are overwhelmingly positive with users saying it is perfect for glamping and other users saying how they took it to a noisy festival where it was noisy and bright outside but in contrast it was completely black, comfortable and quiet inside the tent. The Crua is a very different camping experience from your standard thin tent experience, so if you’re looking to camp in comfort then give it a go! Soundproof Acoustic Wallpaper: Fact Or Fiction?